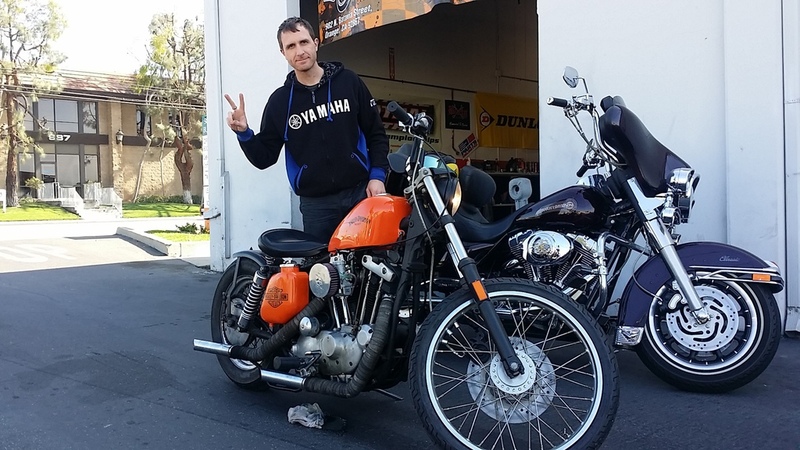 Motorcycle Tire Center is a locally owned independent motorcycle repair facility located in Orange, CA. 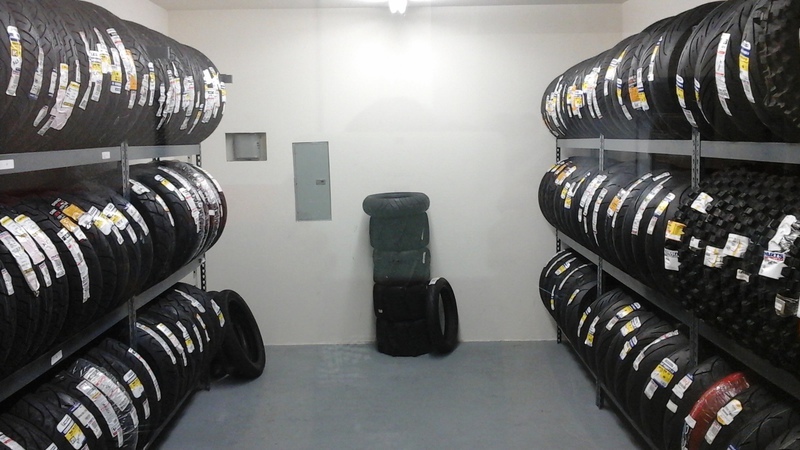 offering Tires, Factory Service, and Customization. It all comes down to a burning passion for the lifestyle, culture and unexplainable love to be on the open road. 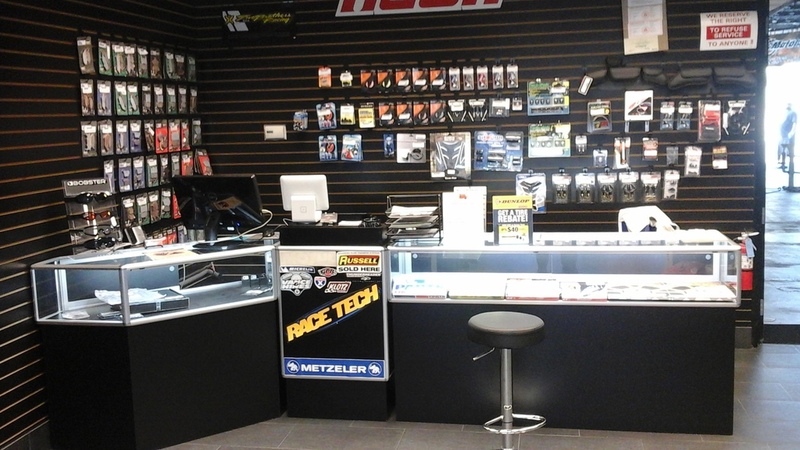 Our experienced technicians are bikers that love what they do and are good at it. 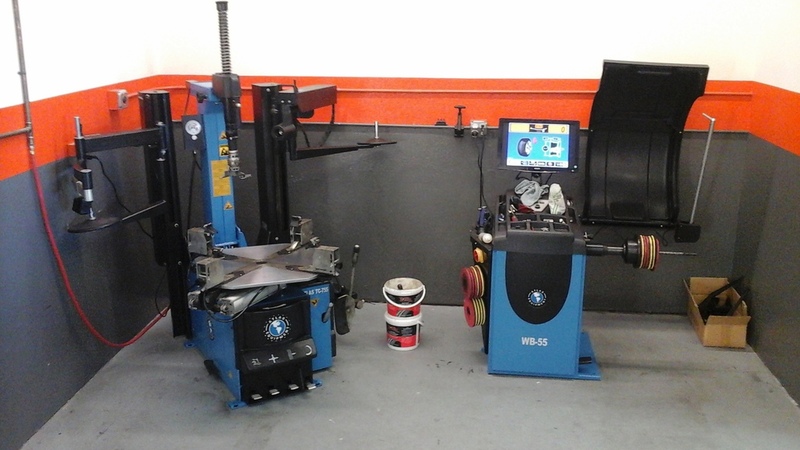 When we first opened our doors in late 2013, we wanted to be different from the rest of the bike shops in our area. 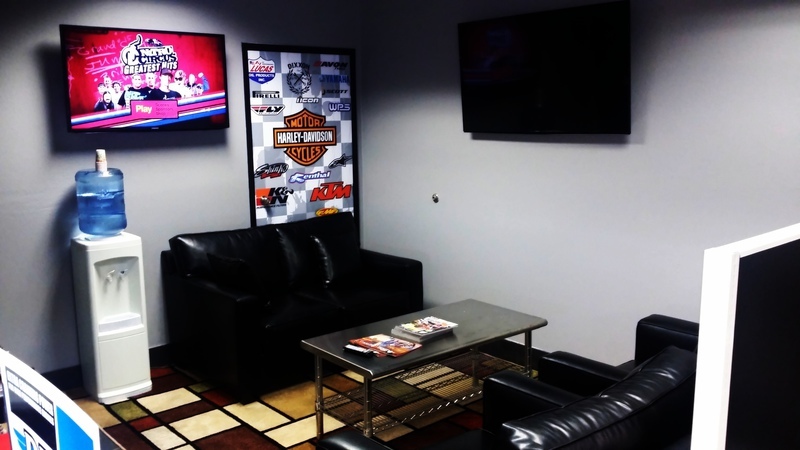 We set the focus on tires and quick turn-around service where customers can ride in without an appointment and get their motorcycle serviced on the spot and enjoy a clean and relaxing environment. 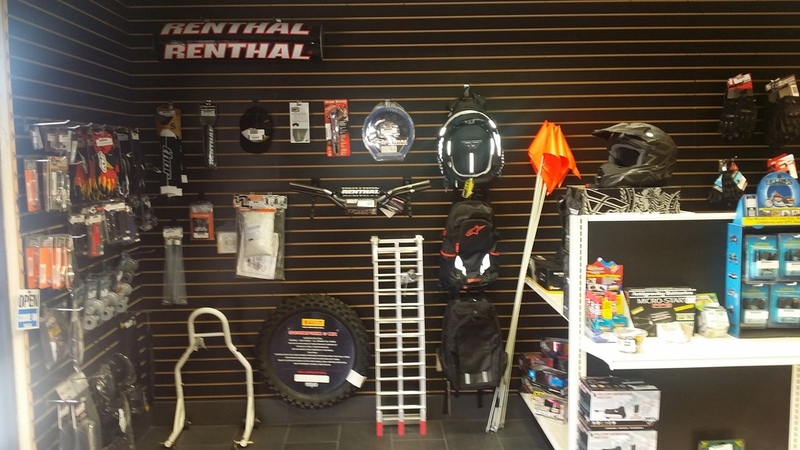 We carry the largest selection of tires in-stock out of any bike shop in SoCal and our customers love that we have their favorite tire available when the ride in. So far the concept has proven to work as customers are coming back and referring their friends. 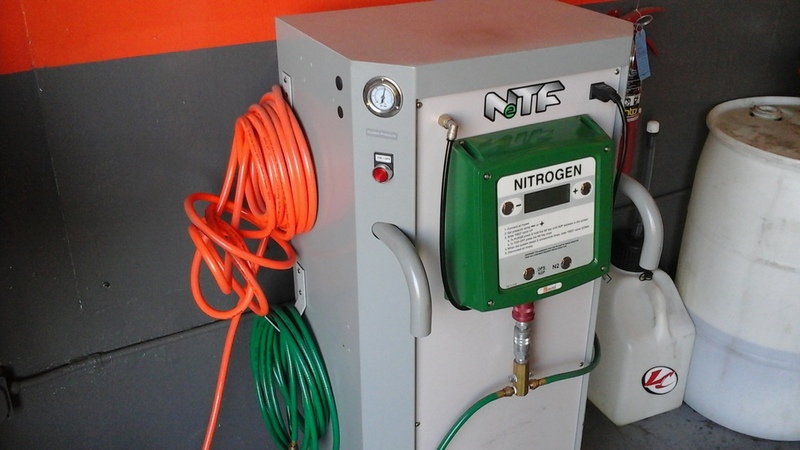 We are happy to talk motorcycles with you, offer recommendations on parts and tuning and discuss your bike project. Joe has been a part of the local motorcycle community for many years, spending a lot of his free time riding Harleys and enjoying the majestic canyons. 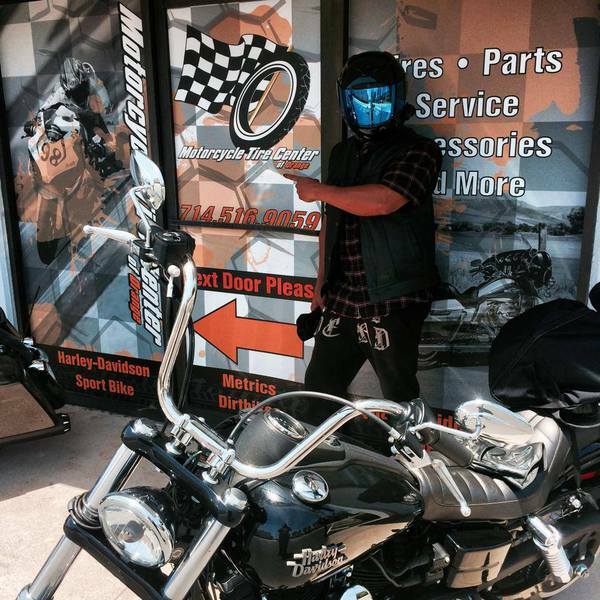 His passion for this lifestyle and the freedom that it brings was the driving force for creating Motorcycle Tire Center. 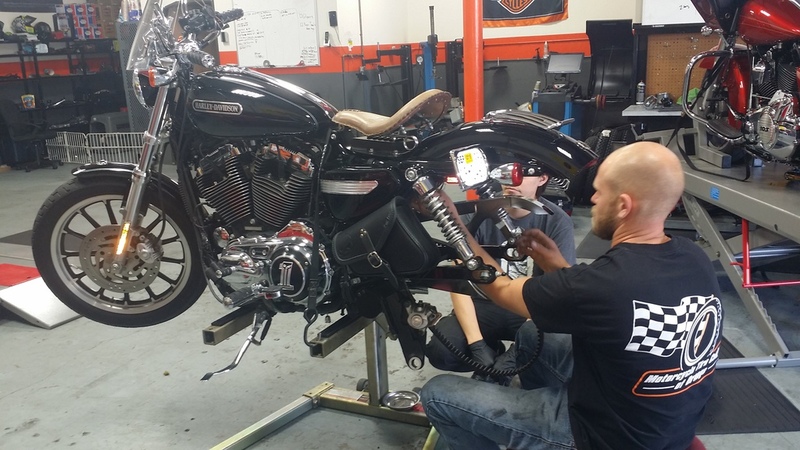 Joe enjoys customizing and tuning bikes to go fast, popping wheelies and building modern performance style Harleys and old school bobbers as a hobby. 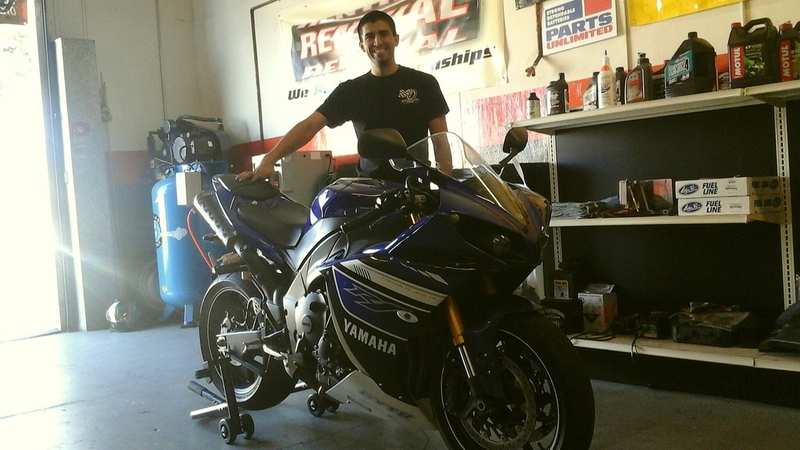 David got hooked in college after his roomate let him test ride his Suzuki GSX-R750. Days after, he bought his first bike and began buying/selling bikes with his student loan money. After working in a few "real jobs", he realized that the cubicle life wasn't for him and decided to venture out and pursue the motorycle business full time.